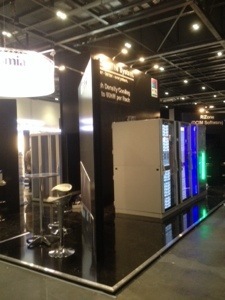 Rittal’s stand construction is well underway in perpetration for tomorrow’s Data Centre World. Running on the 26th and 27th February 2014 at the ExCeL London Data Centre World is the compelling and practical event for everyone involved in running and building data centres. Rittal’s SE 8 enclosure range is now fit for extreme conditions with a new NEMA 4/4x protection category. The SE 8 enclosure type has UL, cUL and NEMA 12 (IP55 equivalent) approvals as standard features, with protection class NEMA 12 as the default, sufficient for the majority of applications. 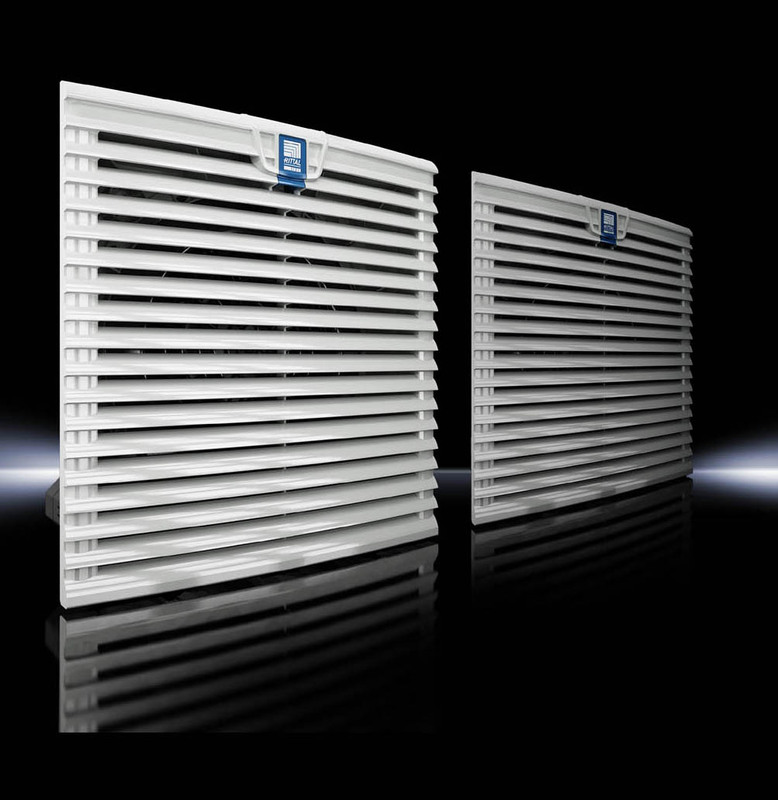 With the optional NEMA 4 (for steel enclosures) and NEMA 4x classifications (for stainless steel ones), which roughly correspond to IP 66, the enclosures offer increased defence against wind-driven dust, rain, splashed water and water jets, as well as from damage caused by external ice formation. Electrical and electronic equipment within the NEMA 4/4x enclosure is protected and can now also be used in extreme applications, thanks to the improved dust and water protection. 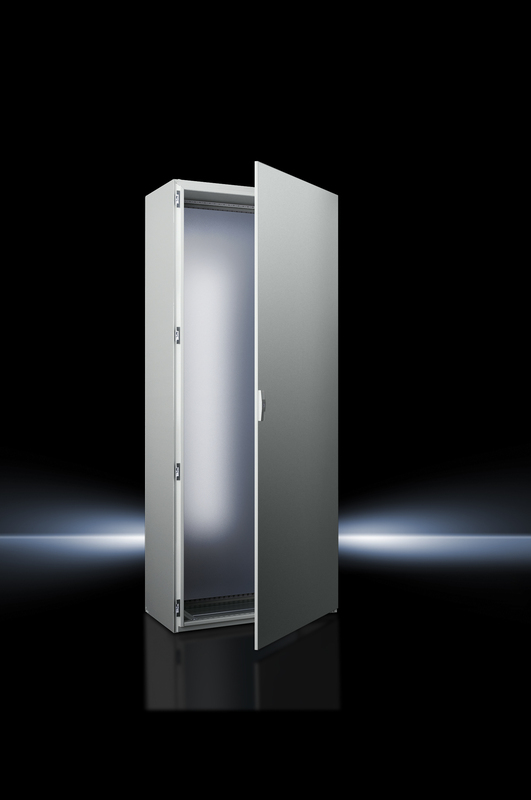 In order to achieve NEMA 4/4x classification, modifications to Rittal’s SE 8 range of enclosures has been made. The door and rear panel have been reinforced with a tubular door frame, integrated through a one-piece floor plate with an all-round seal in the base area of the enclosure. Unlike baying suites with frames and removable side panels, the body of the SE 8 free-standing enclosure consists of two side panels and a roof which is made from one piece of sheet steel. The rear panel can be unscrewed for easy access to the enclosure. The stark contrast between the public estimation of architects and engineers in Britain is a reminder of the widespread lack of understanding of what engineers do. An architect is typically seen as a highly educated and skilled professional making great contributions to civilisation through their mixture of creativity, flair for design and technical understanding. An engineer, if not thought to be boiler fixer, is relegated to the position of someone who makes other people’s great ideas happen. But from the second half of the twentieth century, the line between the two professions was blurred somewhat by architectural movements that saw a building’s form follow its function and where design was guided and advanced by the adoption of new construction materials and techniques. The “high-tech” or “industrial” style began as a radical and sometimes controversial way of thinking about buildings but has become one of the world’s dominant architectural approaches to creating public and commercial buildings. Characterised by a prominent exposure of a building’s structural and functional components and the use of pre-fabricated elements such as steel frames, glass panels and supporting cables, the high-tech style can be seen in buildings from the Gherkin in London and the Centre Pompidou in Paris, to the Burj al-Arab in Dubai and the Bank of China Tower in Hong Kong. The movement is now being reassessed by a new exhibition and TV show (the first episode of which was broadcast last night), which not only highlight the role of British architects in creating and spreading the high-tech style, but also pay some long overdue recognition to the crucial role of engineering in its formation and practice. ‘None of [the key features of high-tech architecture] come about except by close collaboration between engineers and architects right from inception,’ says Tristram Carfrae, chair of Arup’s global buildings practice and a structural engineer who has worked on many high-tech buildings including the Lloyds building in London, the HSBC building in Hong Kong and the National Aquatic Centre in Beijing. In practice, this often means designing the shape of a building or building element to follow the limitations of a particular material or engineering principle. For example, the Schlumberger Cambridge Research building designed by Michael and Patricia Hopkins comprises a Teflon-coated glass-fibre membrane suspended from a steel superstructure – essentially a giant tent. Rittal’s TopTherm Blue e cooling units provide an energy efficient means of cooling enclosures. Incorporating the integrated eComfort controller and offering energy savings of up to 45%, the units are compatible with Rittal’s RiDiag II software. RiDiag II is a setup, diagnostic and data acquisition tool that can be used to view and adjust settings, log equipment data and track performance in real-time. All cooling parameters, such as the enclosure internal temperature setpoint, switching hysteresis, high temperature alarm offset and sensitivity of the filter mat monitoring, can be modified and saved. The results of diagnostic checks may also be stored. 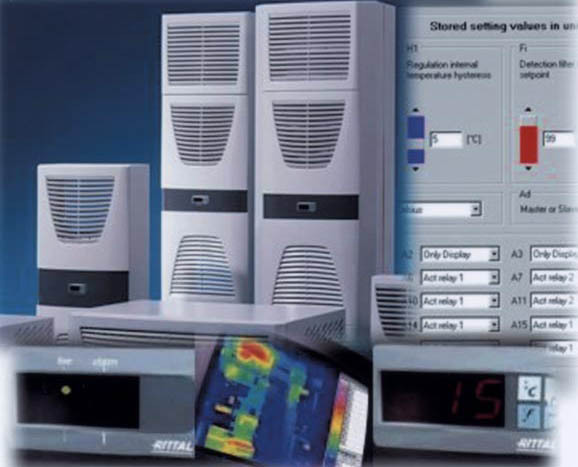 With connection to a PC or laptop the following data can be retrieved from the cooling unit: Time and frequency of any error messages generated, maximum environmental and minimum internal enclosure temperatures recorded and the duty cycle and cooling unit utilisation. Whether an end user or installer, RiDiag II can be of benefit. It significantly reduces the amount of time taken to set up multiple units with the same parameters, ensures the correct settings are input and creates a backup file of the application specific settings. Saved diagnostic checks document the operating history of a cooling unit and data collected from a cooling unit may be used to identify any faults or incorrect installation. Rittal offers a more energy efficient means of ventilating enclosures by supplying electronically commutated (EC) versions of the successful TopTherm fan-and-filter unit, in all but the very smallest size. Using the same diagonal fan technology as the standard variant, Rittal’s TopTherm EC fan-and-filter unit provides improved performance against static pressure, offering a more constant air throughput and energy savings in excess of 60 percent over previous models. Compliance with ongoing energy efficiency guidelines can be met and exceeded by using EC motors. Intelligent control and fan status monitoring is available for larger units. Direct monitoring of fan speed is via a tacho-signal output with a malfunction or failure signal, prompting immediately action, minimising the risk of component failure in the enclosure. Infinitely variable speed control offers a means of conserving energy further by operating the fan at a speed determined by the demand for cooling. A programmable logic controller (PLC) may be used to control the fan motor, via a 0-10V DC or pulse width modulated (PWM) signal. A sensor that controls the speed of the EC motor by comparison of the actual temperature with a fixed setpoint of 35 °C, will increase the fan speed to produce a cooling effect as the temperature approaches the setpoint, will soon be available from Rittal.